· Would you like help covering your closing costs? 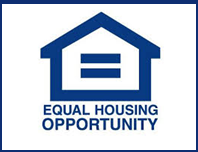 · Would you like to take advantage of rates at or near historic lows? · Would you like the choice of a mortgage rate that best fits your financial situation? If you answered “Yes” to any of these questions, the Closing Cost Slasher® might be right for you! Some rates may cover all of your closing costs. Ask us how this works. · Our exclusive online tools like MyCMR let you track your mortgage process from start to finish, and our Mortgage Calculator gives you rates right on your phone. · We have an A+ rating with the Better Business Bureau and a AAA rating according to the Business Consumer Alliance. Call now to pay less at closing with our Closing Cost Slasher®! Could you benefit significantly by refinancing or buying a new home, but have less money available to put to your closing costs? Every day ChangeMyRate.com has mortgage rates to choose from that give you credit toward closing costs. Perfect for those who have less to put down. · Choose one of our daily mortgage rates that give you a credit toward your closing costs. · Depending on your loan amount and rate, your credit could cover all of your closing costs. · The Closing Cost Slasher® is an option available on all of our loans. If you're ready to talk to a Home Loan Expert about your loan options, call (855) 671-7700 now or fill out the form on the right and we'll call you!